Far too many adult patients who struggle with ongoing oral healthcare can trace their negative impressions of the dentist’s office back to an experience as a child. At First Line Dental, we go out of our way to make sure that our young patients have positive and comfortable visits to set up a lifetime of optimal oral health! Dr. Stanko’s friendly and patient demeanor is a great fit for children, and our kid-friendly array of services can support their teeth at every stage of development. If your child is ready for their first appointment, contact us in Manchester, CT today. 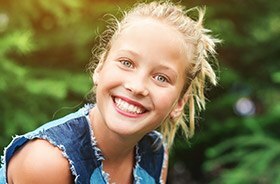 Why Choose First line dental for Children’s Dentistry? Ongoing dental care can start earlier in a child’s life earlier than most parents think! For instance, we recommend gently cleaning an infant’s gums with a damp washcloth on a regular basis even before the “baby” teeth start erupting. You can also go ahead and schedule a first dental checkup with Dr. Stanko. 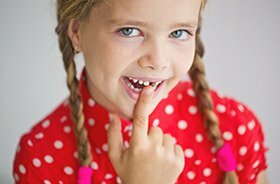 This brief appointment will give your child the valuable opportunity to start getting used to our dental office and also undergo a brief examination. 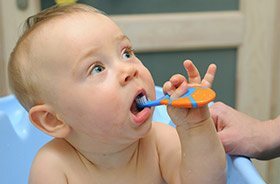 Better yet, our team can provide valuable guidance on teething, thumb-sucking, and other factors that may influence their growing smile. Routine dental checkups and cleanings are important for all ages, including the youngest members of your family. At First Line Dental, we take the time to customize each child’s appointment so that it’s a good fit for their age. 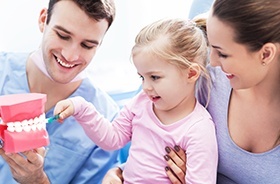 For very young children, we’ll start with gentle examinations; as they grow, our team members will incorporate professional cleanings, fun tips on brushing, flossing, and more. When younger patients are first starting to learn how to brush and floss on their own, they may not be capable of reaching their back teeth effectively. That’s why these areas of the mouth are so vulnerable to tooth decay and cavities. Thankfully, dental sealants can lend a protective helping hand! Sealants are thin, tough coverings that are directly painted over the chewing surfaces of premolars and molars. Once hardened in place, they will prevent food particles and other debris from sticking. Fluoride is a mineral that’s found in the world all around us, including drinking water and many foods – and that’s good news! Countless years of research have demonstrated a clear link between consistent, safe exposure to fluoride and stronger, healthier tooth enamel that’s less prone to decay. During routine checkups and cleanings, our team may recommend professional fluoride applications as a quick and easy way to receive an added boost of smile protection. If your child regularly participates in sporting events where physical contact with hard objects or other players is a distinct possibility, it’s important to keep their teeth and gums safe from accidental harm. 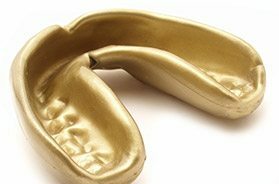 Dr. Stanko recommends a custom-made athletic mouthguard which is specifically designed with their unique mouth in mind. Unlike “one size fits all” appliances from the local athletics store, these mouthguards will be very comfortable, stable, and flexible enough to allow for clear speaking and easy breathing during the big game. Is your child struggling to breastfeed or experiencing noticeable speech impediments? The frenum may be to blame. “Frenum” is the name given to the connective tissue that can form under the tongue and/or the upper gums, which may be overly thick and restrictive. During a frenectomy, our team can safely and comfortably eliminate this tissue.